MUGENDAI’s very own house-recipe Tonkatsu represents, perhaps, the best that a piece of pork cutlet can offer out of a frying pan. 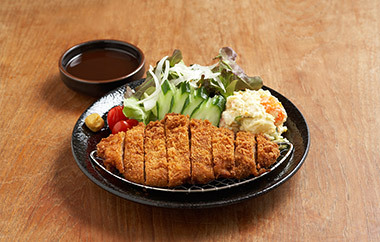 The savory mouth feel of a premium Kurobuta pork cutlet is thoroughly breaded with golden crispy crunches on the outside. This seemingly simple process is in fact one of the most intricate; it allows for the dish to speak for itself like no other Tonkatsu elsewhere.